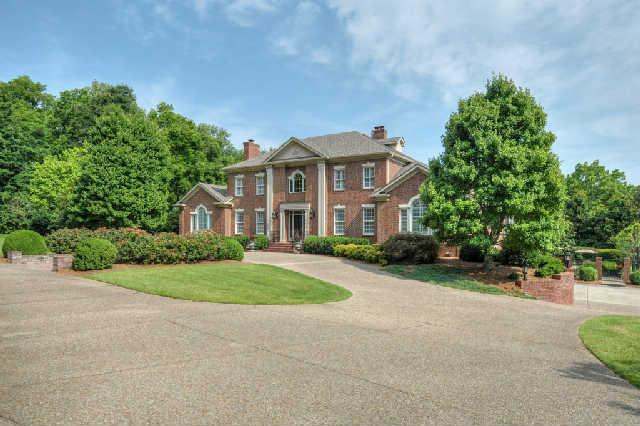 Located on one of Nashvillees premier streets and situated on over four lush acres, the gated home at 914 Overton Lea Road is truly one of a kind. Once the private in town residence of the eQueen of Discoe Donna Summer, every room is steeped in history and has been enhanced by its current owners. 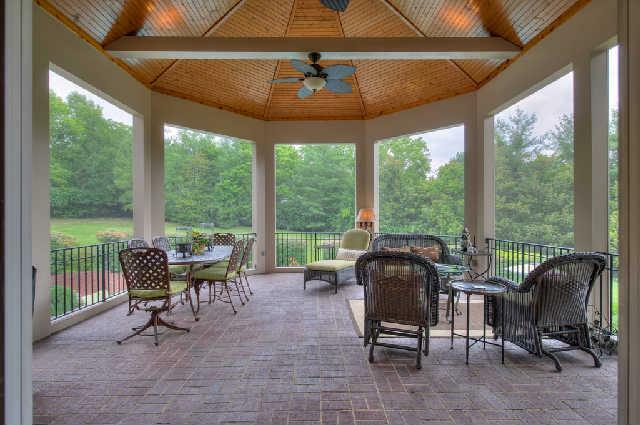 Located on one of Nashvillees premier streets and situated on over four lush acres, the gated home at 914 Overton Lea Road is truly one of a kind. 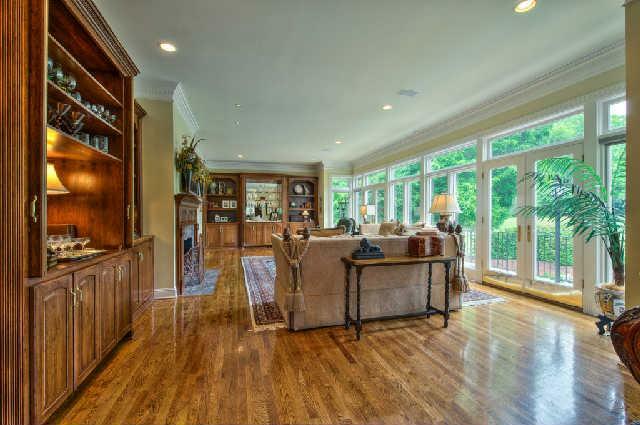 Offering the utmost in privacy, this five-bedroom, 7.5-bath residence is over 10,000 square feet and has parking for three. It awards its new owner with countless amenities for that private intimate social affair or entertaining on a grand scale. Once the private in town residence of the eQueen of Discoe Donna Summer, every room is steeped in history and has been enhanced by its current owners. The front of the house makes a strong first impression. A stone walkway, wraparound driveway, and beautiful fountain frame the home with beautiful detail. 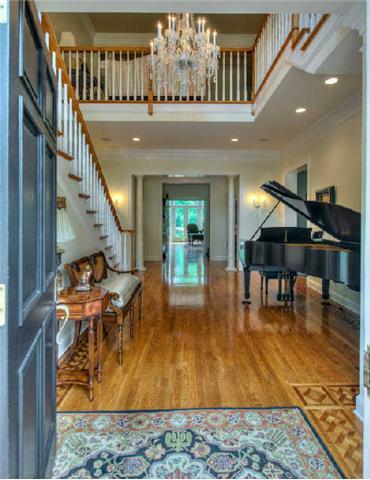 Walking into the entrance you really experience the grand nature of the homees design. 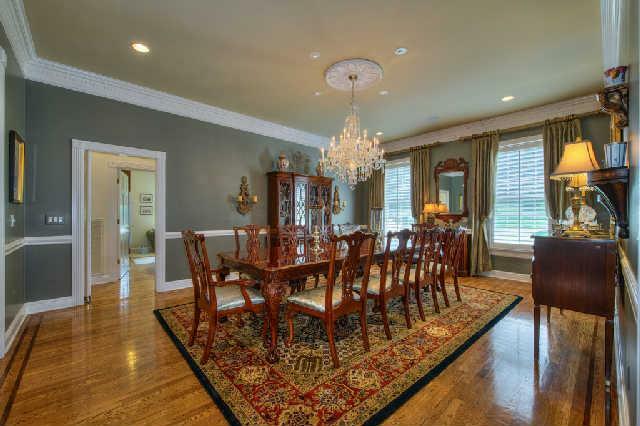 Gleaming hardwood floors reflect the crystal chandelieres illumination. 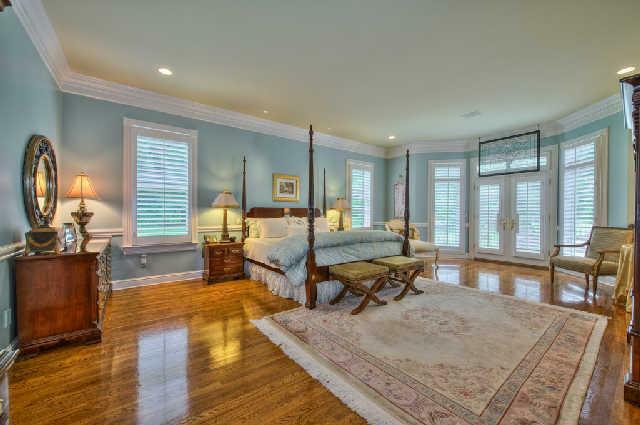 Custom plantation shutters are seen throughout the home as well as pristine white crown molding and intricate hardwood diamond-shape patterns to border each of the entrancees walls. The main level features an open living area that includes a masonry fireplace with marble accents which adds to the stately nature felt throughout. Exiting the living area, youell find the elegant study characterized by polished cherry bookcases, cherry mantle and green marble fireplace, and French doors to a terrace. 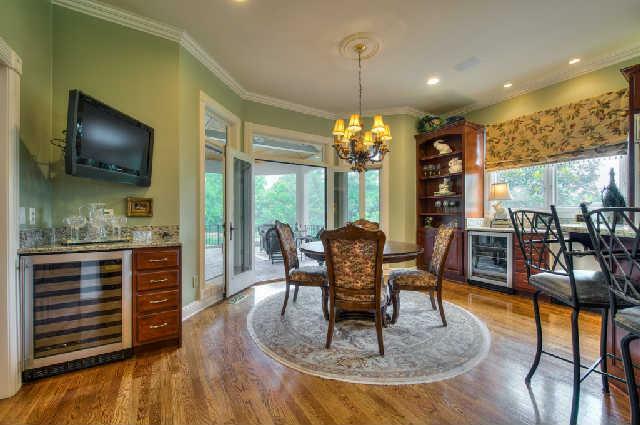 This home features so many spaces for entertainment, including its extensive den and dining room. 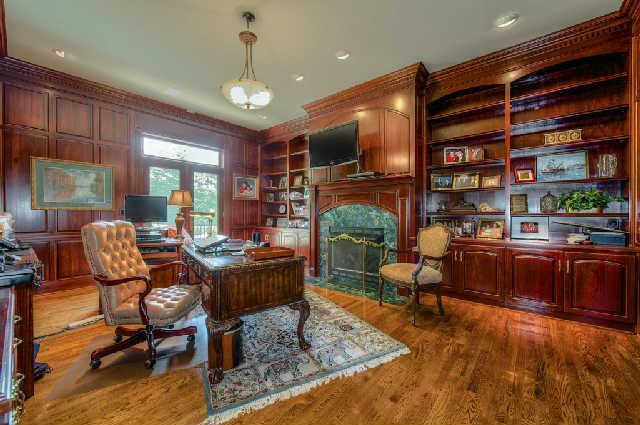 The den includes walls of built-in bookcases and cabinetry as well as a wet bar with granite countertops. 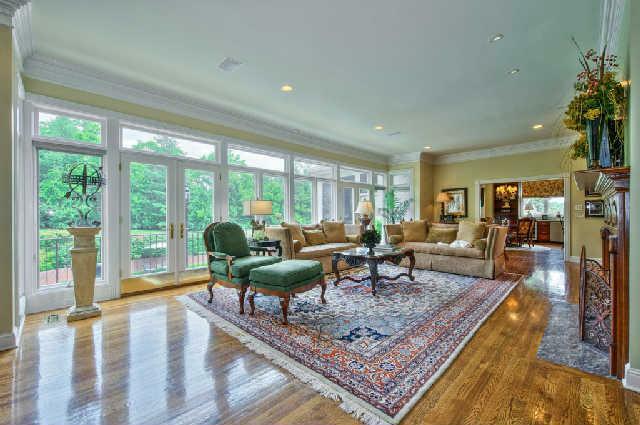 The den, like the study, features a double set of French door opening to the terrace and a marble-accented fireplace. The dining room features dramatic Palladium windows, a sparkling three-tiered crystal chandelier and accent molding along each wall. 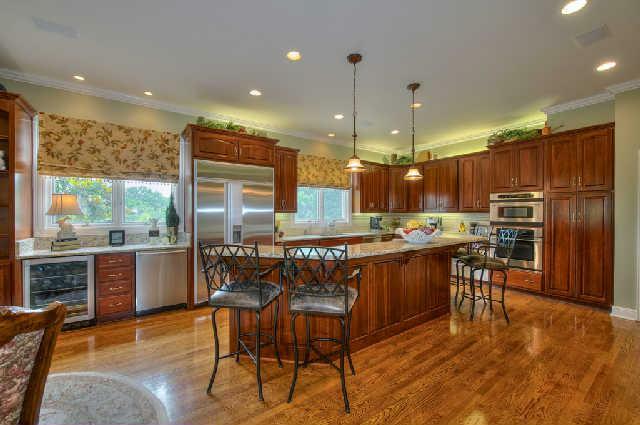 The impressive kitchen will meet the needs of the sophisticated chef in the family. It comes complete with granite countertops and tile backsplash, two Bosch dishwashers, a beverage and wine refrigerator, two warming drawers, a six-burner cook top, and a subzero refrigerator. 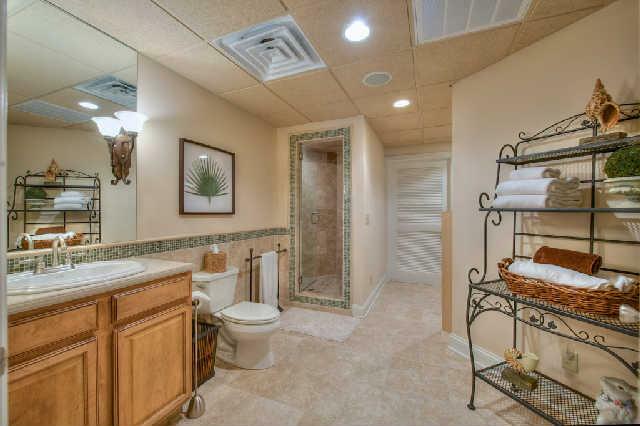 This beautiful home was built in 1993 and underwent extensive renovations in 2006 and 2007. The home includes a new security system and security cameras for the front door, garage, and pool area, all with control pads. 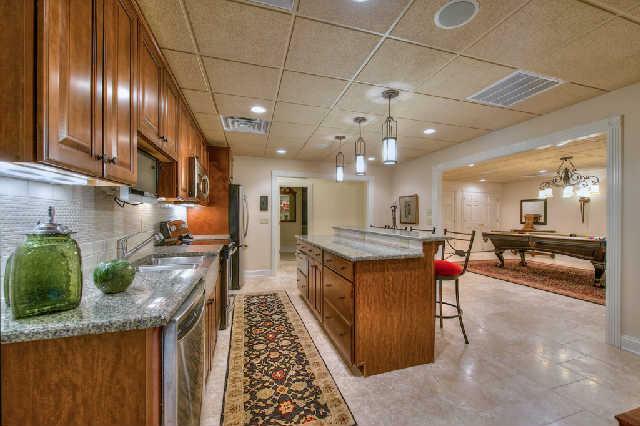 Also found in the home is an in-home theater and an entertainment area with room for a pool table and a full kitchen with stainless steel appliances.